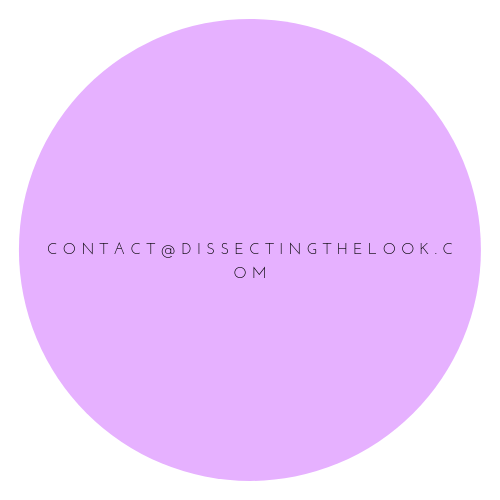 Dissecting The Look is the place its editor created to share with you, dearest reader, a dose of fashionable and artistic inspiration, encouraging you to always express your true self and be as creative as you can. The editor, Filipa (nice to meet you! ), is a 22-year-old Portuguese law student who daydreams about fashion, art and everything that shows one’s personality. She’s also someone who always dreamed about writing in the 3rd person. You can also find me on Instagram, Bloglovin and Google + . Hello beautiful woman, I just wanted to let you know I’m really enjoying your blog. I’m so glad you like it! That means a lot to me, since I’m new in all this blogging thing… I’ll keep doing my best! 🙂 oh, and thank YOU – you have amazing recipes! Well…by my own admission I told in my most recent blog that fashion was not my forte! So thanks for coming to my rescue and now following me. I will be reading yours to endeavour to learn more about your very obvious talent. Thank you very much for your encouraging words my friend! Keep in touch and well done on your own excellent blog.